We might be hitting the tail end of summer, but I’m not quite ready to embrace the pale yet. 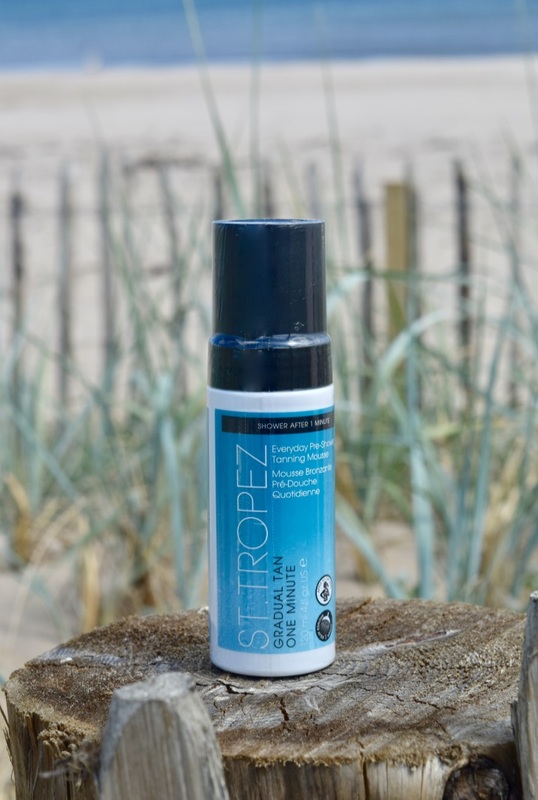 This summer I’ve been lucky enough to try out a whole range of products, and the latest in my trials has been St Tropez’ Pre Shower Tan. Designed to be used on dry skin, I apply direct to skin using a St Tropez mitt, leave it for a minute or two to ‘take’ then simply shower as normal. It feels weird showering off a product I’ve just put on, but the results couldn’t be better! As the day goes on, a light, super-natural looking tan develops, and crucially, it doesn’t stain clothes or have the usual biscuity smell. It’s an absolute lifesaver if you’re heading out after work, or if you’ve left your tan until the last minute. The tan is also incredibly buildable, so you can apply as many mornings as you like, until you reach your desired shade – simple!